47 1/4 x 59 in. 70 5/8 x 138 in. 15 3/4 x 11 3/4 in. 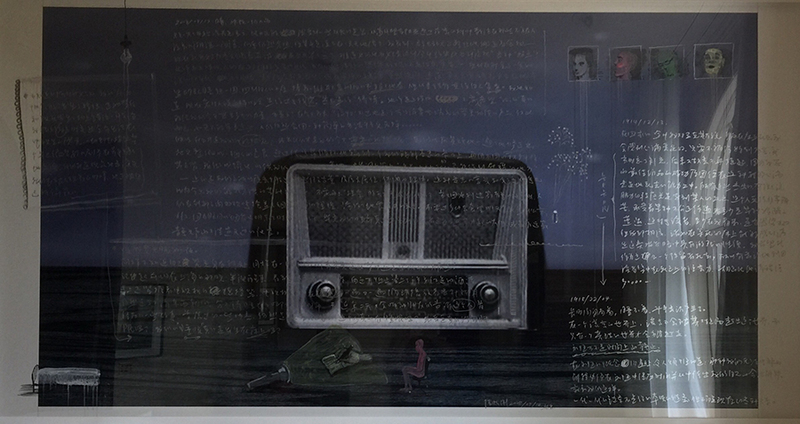 The Amnesia and Memory series, began in 2002, marked Zhang’s move away from grand history, from what was seen as an expression of the Chinese past and consciousness, to the bare individual. This new series featured portraits of single persons and focused on faces, concealing all recognisable background. 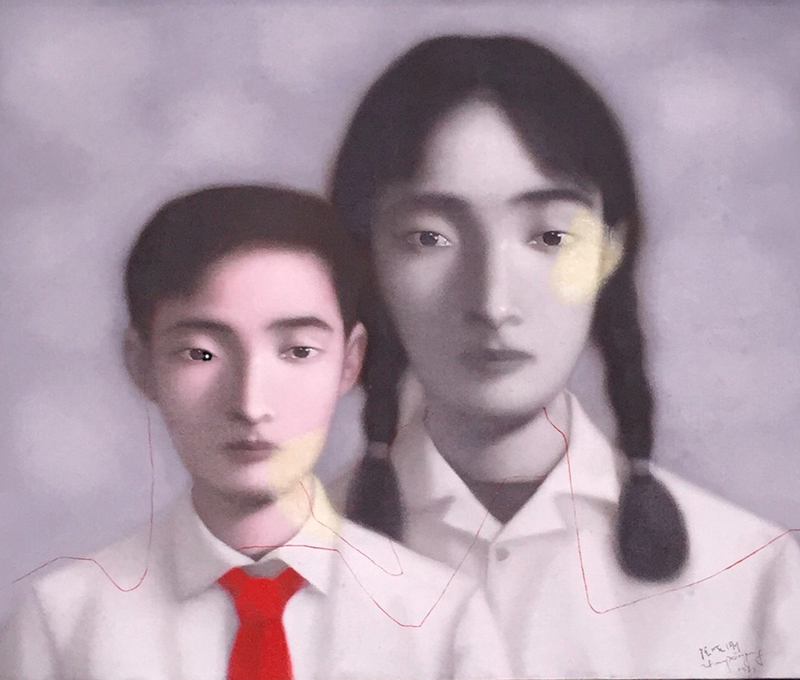 Despite the similarity of the paintings, Zhang sometimes portrayed a beautiful woman or a young man—a character who clearly transcends the apparent sameness of the artist’s usual subjects and seems to come to life with a vivid individuality. In such cases – Amnesia and Memory No.10 from 2004 is an exquisite example – the close-up cropping of the figure’s calm countenance and almost-sculptural figural modeling defy the standardized monochrome treatment. The closed eyes deny the viewer any direct psychological engagement with the subject. Instead, the cropping of the figure and the focus on the eyes draw the figure into a dream-like space, exempt from the conformity that had previously been imposed on so many of Zhang’s subjects. The shimmering teardrops at the corner of his eyes are telling evidence of an ongoing dream – albeit tumultuous – that no one else can interfere. 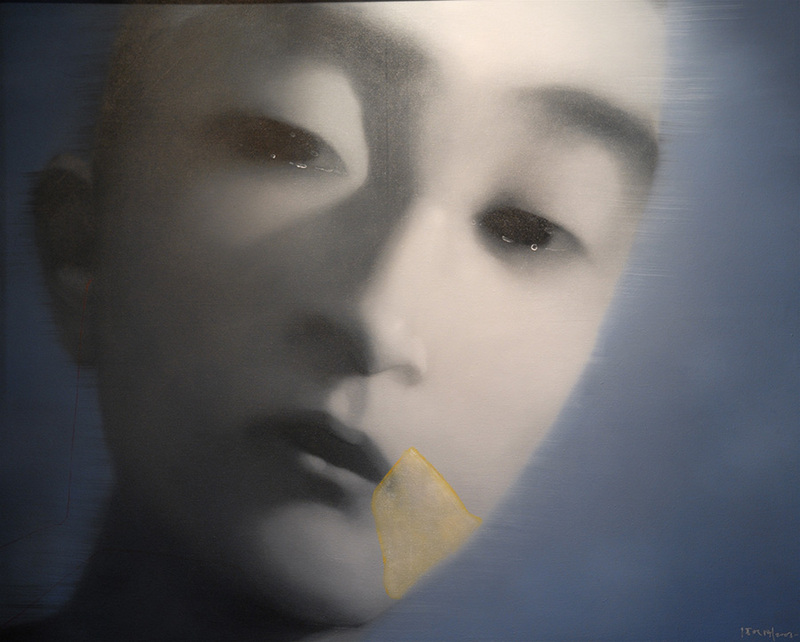 Zhang’s works of the early 2000s are characterised by a stronger surrealistic tendency and sense of dreamy ambiguity, a tilt away from the rigid perpendiculars of earlier compositions, and a dreamy blurring of figures that brings the uncertainty of memory directly to the painting’s surface. “Images of past life gradually have become distant in the present reality in which I live, but at the same time are more pressing in my dreams. 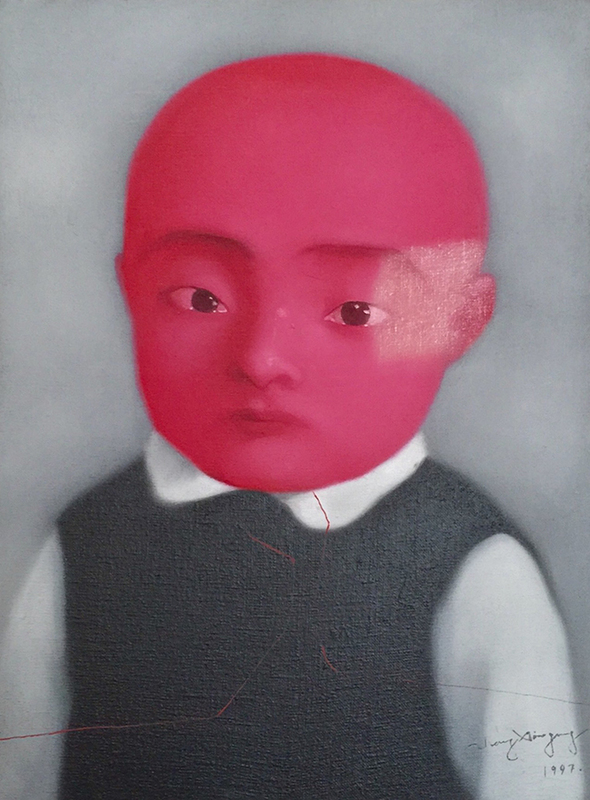 I thus am often unable to tell clearly whether they truly belong to the past or are a drama being staged in the present.”(Zhang Xiaogang, Artist’s Statement, 2003) The seemingly rigid figures began to display, perhaps concurrently with the opening of the Chinese society, a growing need for individuality and emotional expression, thus alluding to the slow urge towards overcoming uniform thinking. Meanwhile, Zhang’s patient brushstrokes remains poignantly affecting and continue to confound our desire to untangle the threads of memory.